Hark! 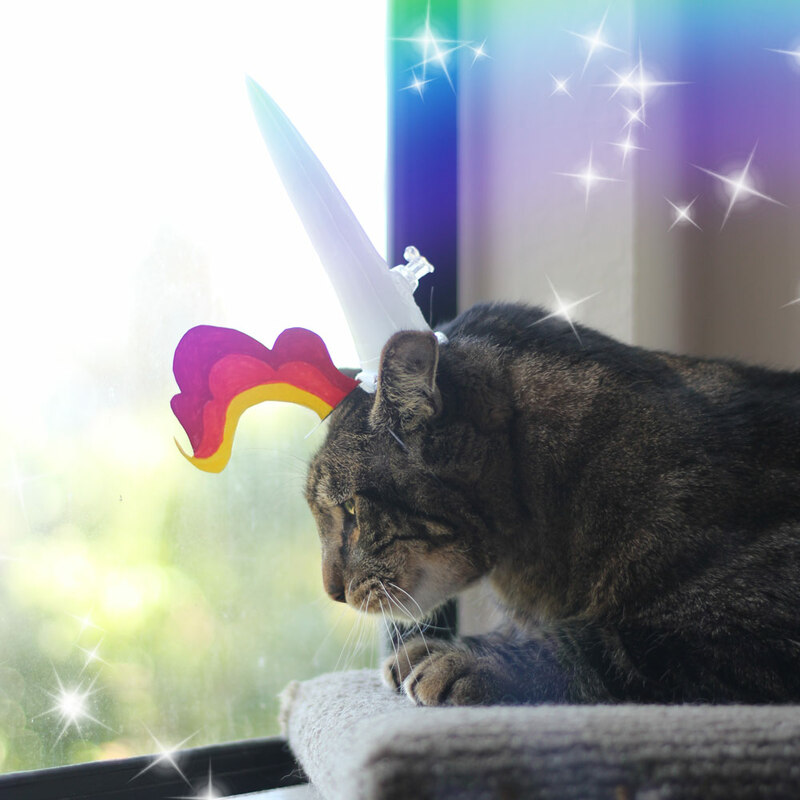 It’s the mythical tabby-corn/uni-tabby! 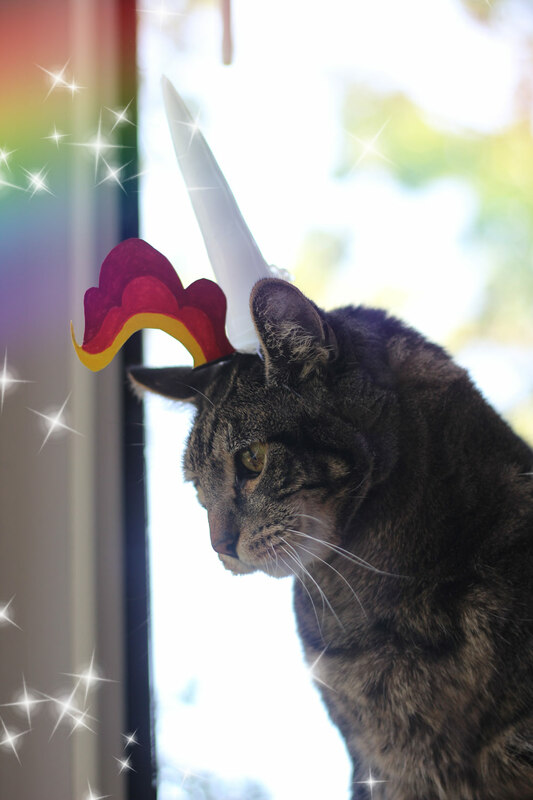 Folks ’round these parts see some strange things… They talk of a magical creature known as the tabby-corn that lives near the edge of the forest. It chases butterflies ? all day long, and some say it makes the flowers ? bloom. Sometimes it gets up right close to a person, close enough that you can hear its magical purr, and if’n it’s feelin’ benevolent, because sometimes the tabby-corn can be a mischievous ragamuffin, it’ll conjure two fresh cod on a log and give ’em to you as a gift, especially if you give the tabby-corn chin scritches first. 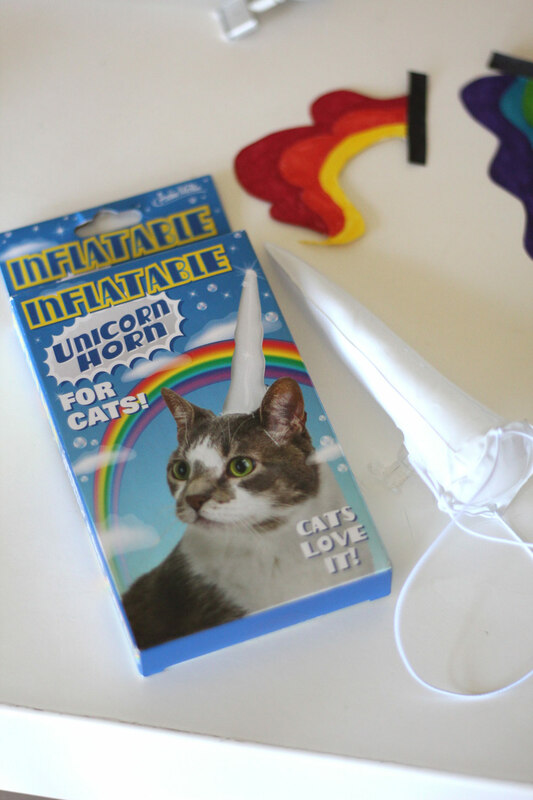 If you want to turn your feline friend into a mythical tabby-corn, you can get him/her the Accoutrements Inflatable Unicorn Horn for Cats. It’s $6.69 at Amazon. But good luck to you, because Tabs wasn’t all about wearing it at first. He couldn’t decide if he wanted to model it or pop it with his claws! 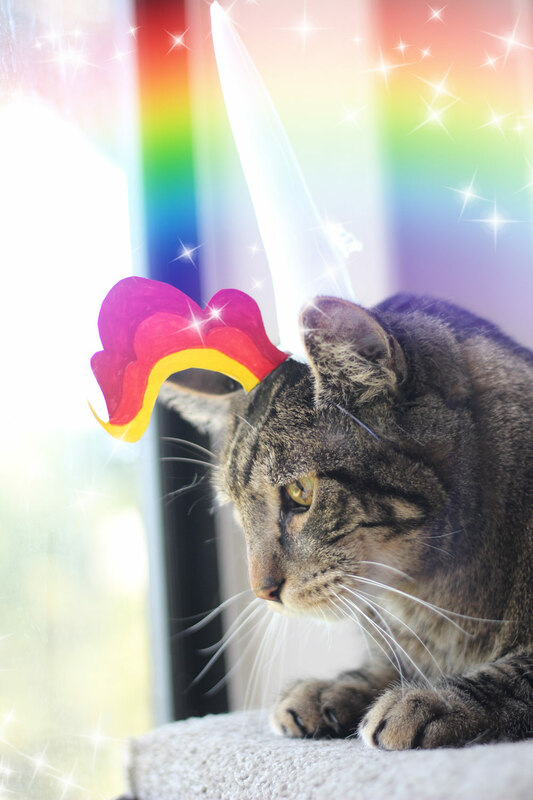 He decided to strike a few poses for his fans, but not before he made himself a matching yellow, orange and red rainbow mane. 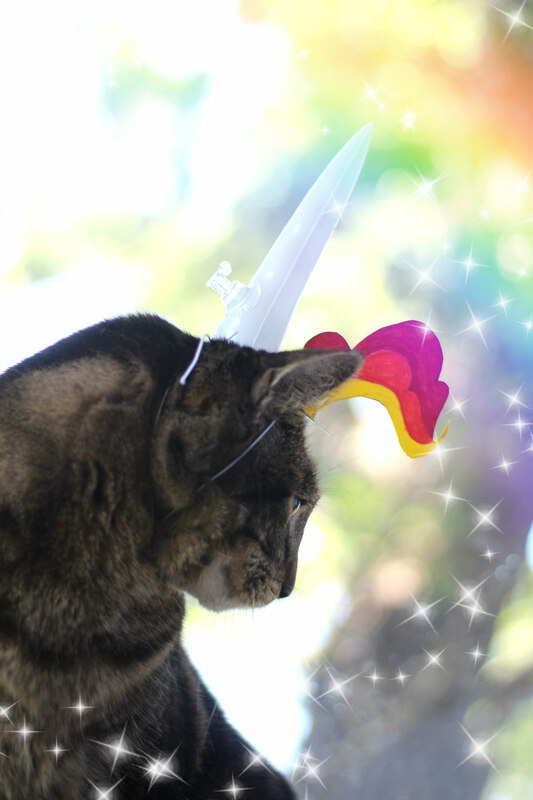 “Cats love it,” they say… I don’t know about that. I love the tabby-corn! Maybe I need to make a Mina-corn! Tabs is officially the best kitty model ever! Nora kitty would not wear that (or anything else, like a collar) for more than three seconds. Tabs is definitely the best. I’m sure you can also do without the magically conjured up “cod”, but it made me laugh.